If you are a great tea aficionado, then it goes without saying that you always want the best teapot or the best whistling kettle in the market. Don’t you just love the sound a teakettle makes when it is done boiling water? I love it! And I’m sure, for most people, the whistling sound that a kettle makes is music to their ears, because it means that they can now make their cup of coffee or tea. There are a lot of traditional teakettles out there that you can still buy, but the only concern is that it can sometimes be too time-consuming to boil water over a stove. Thankfully, someone came up with a way to make boiling water more productive and less time-consuming. Before you go looking for just any teakettle out in the market today, you also have to consider the product’s durability and the heat capacity, because this will usually determine how fast it can boil water. You will want to find something that can heat up the water evenly so that it will not take up too much of your time to wait. Stainless steel: stainless steel is popular among users because of its overall durability, high external appeal and the ease of cleaning. Glass kettles: They are increasingly gaining popularity because they are now made with durable materials. They also maintain heat for your beverages for much longer than kettles constructed with other materials. Cast iron kettles: these kettles are durable, but they are the most expensive of the batch. They are preferred by many because they have exceptional heat retention qualities. Copper kettles: copper kettles stand out because of their excellent capacity to conduct heat to boil water quickly. Aluminum kettles: aluminum kettles are energy efficient and they tend to hold up better against regular usage. 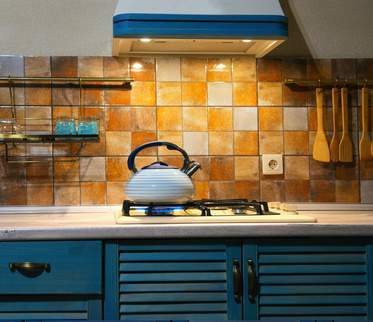 Ceramic kettles: these kettles usually have thick walls that allow them to maintain water temperature for a long duration. They also do not form scale deposits unlike other types of teapots. The type of whistling tea kettle that you select will be based on your preference and budget. Although there is a wide selection out there for your choosing pleasure. The Medelco whistling kettle is uniquely designed with a contemporary look that can match the décor of any modern kitchen. The glass is thermal and is shock resistant. Because the Medelco kettle is made of highly durable borosilicate glass, the chances of your tea kettle passing on a metal flavor to your boiling water are low. The Medelco whistling kettle is flexible and can be used on both gas and electric stovetops. The kettle comes with a heat diffuser that can be placed between the coils of an electric range oven and the carafe to protect the kettle. The OXO Good Grips whistling kettle is crafted from the highest quality of materials. It has a wide base that allows for quick boiling because the base covers the entirety of the burner. The wide base also means that it can distribute heat evenly and can hold water for long in its hot state before cooling down. The OXO kettle also has some cool features that make it safer to use. For instance, it has a handle that easily rotates out of the way when you need to clean or pour from the kettle. It also has silicon touch points along the handle and the spout to protect you from burning your hands. You can expect even and quick heat distribution when you use the Chantal Copper Classic Tea Kettle. This kettle is the best for use if you live in a household with other people or with younger children. Although it makes a whistling noise to notify you when your water reaches the boiling point, the Chantal copper kettle has a characteristic two-tone whistle that sings instead of shrilling ceremoniously. The kettle also has a flat and smooth base that ensures that the whistling kettle comes into full contact with your burner. The Chantal copper kettle also has a large opening that makes it suitable for cleanups and refills. A t-fal whistling kettle is a popular option for consumers that want a kettle with a large capacity. The kettle has a sleek and contemporary profile that has a unique exterior. The kettle has an ergonomically designed handle that also comes with a built-in pour level for efficient and spill-free pouring. The T-fal kettle has a broad base that is designed to heat up the water quickly. When the water reaches its boiling point, you can expect a loud whistling noise that will let you know when to extract the kettle. A full stainless steel appearance helps to give the Vanika steel kettle its sleek and upscale appearance. The handle has a comfortable grip for stress-free pouring. Aside from being useful for boiling water for tea and coffee, this whistling stainless steel kettle can also be used for a range of other purposes such as preparing soup or cereal. The clean and audible whistle lets you know when the water for your beverage is ready. The Willow & Everett stovetop kettle comes with a unique feature of five layers of high-quality stainless steel, that makes the water to boil much faster than other kettles. It’s 100% Teflon-free and BPA-free. Also, it has its own tea infuser to be easier for you to make tea. This kettle is for any tea or coffee devotee out there, that want their water to be boiled fast to a perfect temperature. This whistling kettle is great if you are looking for something that is loud and can completely catch your attention. The whistle in this thing is impossible to miss and it can make a perfect choice if you like to flutter around your household doing chores while waiting. If appearance is also an important factor that you look for in a kettle, the Circulon will not disappoint you on this, because it has a gorgeous glossy finish and it has three color choices for you to chose from. Nevertheless, it can fit into your kitchen like a decorative statement. To better appreciate this red whistling kettle, it would be better if we discuss the full features of this amazing beauty more in detail so that you are aware of what it can offer you, if in any case that you decide to purchase. It is light – the Circulon is very light and only weighs 3.2 lb. which will make it easier for you to carry if you decide to completely fill it up to the lid. Has a spout lever –it has a spout lever, that can make it less hard to pour the boiling water into any cup or bowl for cooking or for making coffee and tea.The spout will also prevent any dripping that can happen while you are pouring. Removable lid – the Circulon comes with a stainless steel lid that is easy to remove so that you can easily pour in the water for boiling. Sleek and colorful design – as mentioned, you can choose amongst three-color choices, which are red, black, and warm silver. It is also made out of a glossy stain-resistant surface to complement your kitchen color and design. Handle – the handle is impressively easy to handle and can prevent burning of the hands, even if the kettle gets too hot while boiling. It will stay cool even at high temperatures. Whistle – The Circulon has a very loud and distinct whistle, which can grab anyone’s attention from a mile away. Even if you do chores around your house while waiting for the water to boil, you will hear the whistle even if you are on the second floor of your home. It is great for multitasking. Stovetop – Can be placed on a gas stove or an induction stove. Even if you put it on both platforms, you will still get your water in less than a few minutes. Easy to clean – it is very easy to clean by hand, and not hard to reach from the inside, which gives you more space for your hand to clean it when it is dirty. Dimension – Measures about 8 – ½ x 8- ½ x 9 inches. Loud whistle to indicate when water is finished boiling. Can be placed on a traditional stove or an induction stove. The lid is easy to remove and can retain heat for long periods of time. Comes in 3 color designs. Has a glossy anti-stain finish. The handle can prevent burning and will stay cool during boiling. Can fit any design of the kitchen. It is very light and easy to carry around. Can evenly boil the water. The possibility of gray flakes and residue. The Circulon can be closely compared to the KitchenAid Kettle with C Handle. They are closely alike, the only difference between them, is the spout and the grip. The Circulon has a different spout, and a different handle, but other than that they are very similar in terms of performance. The Circulon is a great kitchen appliance and I highly recommend it to anyone who wants to have the same features of a traditional whistle tea kettle but has the safety improvements and efficiency of a modern teakettle. This is great for people who are also fond of doing house chores during the day and does not have that much time to wait for their water to boil. The whistle is very loud so even if you are doing household chores, you will still be able to hear it from a far distance. It is also a great way to spruce up your kitchen since the colors are very vibrant when you are done with it, you can place it anywhere in your kitchen, and it won’t be an eyesore to look at. With this product, preparing your favorite beverages becomes easier and quicker. It’s definitely a worthy investment to have in your home or office. Interesting article, I did not even know they still made the old fashion tea kettle who whistles at you when your water is ready for tea or coffee. What is your opinion on the healthiest method to make tea or coffee, are those coffee and tea makers really healthy or is the tea kettle which whistles a healthier way to make your tea or coffee? You know, it’s same like in fashion: everything that is old it has the possibility to be on fashion again 🙂 I wouldn’t speak about the healthiest device, as long as it’s not plastic, to make tea or coffee, but the easier way, (wich I would prefer because it takes a short time) to make tea or coffee, and in this case it matter what you prefer: to check if the water is ready or you want to do something else in the meantime and be called by a hear un whistle when the water is boiled. I love my Circulon! You’re right…there’s something that is so soul-satisfying about hearing that merry little noise signaling that the water’s ready. Nostalgia plays a part in the retro-turned-fashion statement, I agree. The thing reminds me of small-kid days. I especially like the bright bit of color the teapot which resides on my range, standing at the ready, makes. An excellent review of one of my favorite morning friends. Nothing seems to beat an early morning coffee or cup of tea to get us started with our day. This kettle’s many features and easy cleaning make it an easy sell. The attractive colors that can blend with your kitchen decor are also a bonus, but they all take second place to the wonderful “whistle sound” we all love to hear, bringing the joy of that fresh brew we will soon be enjoying. Thanks. This looks like a very good option. I have to be honest you had me at easy to clean when I read the post. The design looks great and unique. I appreciated the comparison you made with other products. My mom loves to boil water on gas rather than with electricity so this looks like a perfect gift for her. Glad to be helpful. I am sure your mom will love this gift.